This post is mainly for beginners (Common European Framework of Reference A1) and intermediate (A2-B1) levels of French, though those resources that are in French (ex. Connectigramme) would be appropriate for a range of levels and for people who aren’t interested in the “levels” business at all but are learning French for other—general or specific—purposes: from travel to reading Proust. 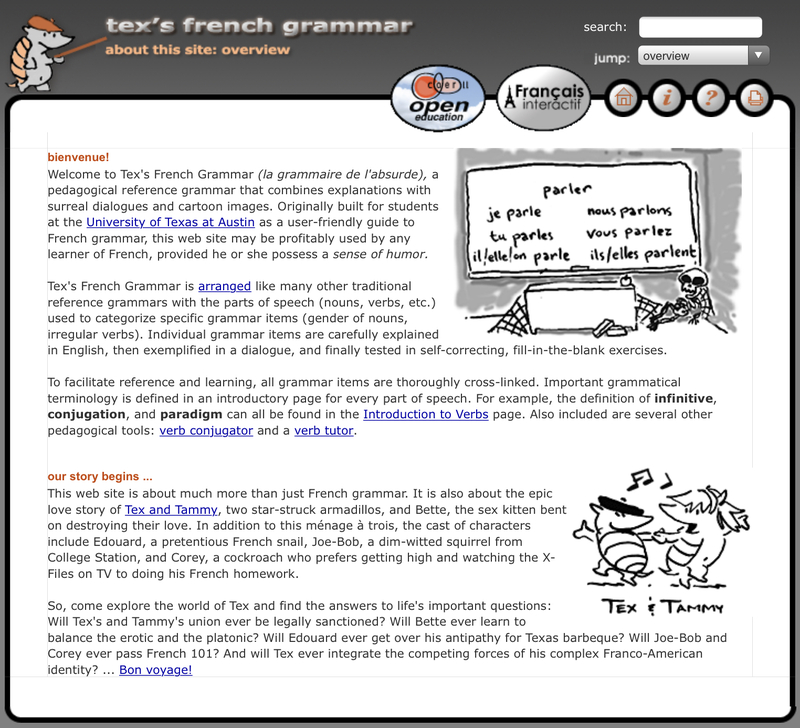 For independent learners / self-study, I’d suggest as a first step the University of Austin open access set of Tex’s French Grammar, Français interactif, and the accompanying Chansons françaises. I would also still recommend the classic Karl C. Sandberg French for Reading, which I’ve used in teaching summer intensive “French For Reading Knowledge” courses to (post-)graduate students in the arts and humanities; albeit using it as a flexible base rather than a fixed textbook to follow slavishly as it is 50 years old now and many of its readings are of such antiquity as to have acquired additional historical interest. Some might consider that to be an enriching asset, especially in the context of a graduate course, and I wouldn’t deny being among them. If we are at all alike, then you might also be enlightened and delighted by another venerable classic: D.M. Kaufman, Xenophobowski’s Guide to Grammar (Newcastle upon Tyne Polytechnic, 1979). Welcome, then, to the last post of the old year, as I tidy up resources for courses next term. December has been a month of exam preparation (a.k.a. design, composition, creation, and production), organisation and invigilation (plus bonus complications which cannot be discussed publicly, other than thanking the student who gave me the ‘flu), marking (I am still marking, and that will continue up to the beginning of term), and course preparation. It is all worth it because teaching and learning languages, a university arts and literate humanities education, and learning in general are some of the most important things in the world. Happy New Year: may it be a year of more language-learning and greater intercultural understanding, peace on earth, and goodwill to all. 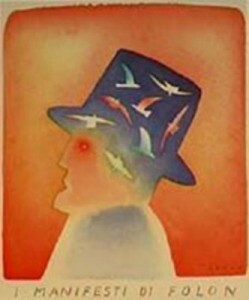 As with the accompanying Resources: French dictionaries post, I’ve focused here on free online resources, plus some that are in or obtainable through public libraries: in celebration and encouragement of open access. If uncertain or stumped, consult a librarian: if anyone can help you, it will be a librarian, because librarians are awesome knowledge superheroes with superpowers. Bescherelle conjugaison (online, free) and its original printed book form, in any edition from 1980 onwards. This is the canonical French verb book. Jacqueline Morton, English Grammar for Students of French, any edition (Ann Arbor: Olivia & Hill, 1st ed. 1979, current 7th ed. 2013). Material mostly from the old French.about.com > now Thoughtco.com (explanations in English). Carl Blyth, Karen Kelton, et al, University of Texas, Austin (explanations in English). French language guides to improve reading, writing, and comprehension skills for all levels; Thoughtco.com (explanations in English). FHIS UBC Vimeo channel – Dr Anne Scott’s French grammar explanations (explanations in French; mostly B1-B2 level). so that you can see a short classic synthesis representing French grammar as one whole thing: Le Grimoire, Lexique grammatical cursif; Pascal Michelucci, University of Toronto. Free extra exercises and other resources online → Cosmopolite 1, Parcours digital (using the code on the black sticker on the inside front cover of your textbook). Large online repository of more exercises; look for specific topics and for the A1 level. “An online pedagogical reference grammar of the French language that combines authoritative grammar explanations, self-correcting exercises and online audio with surreal dialogues and cartoon images.” Carl Blyth, Karen Kelton, et al; University of Texas, Austin. REPSIT – À la découverte du monde francophone (University of Calgary). Further resources for French (overlapping with the resources above), including links to various websites with yet more online exercises. Warning: links have not been checked recently.